Now that you are done with selecting the sport and the league that you are gonna be betting in, and you are all set and ready to pick some lines and get going, you may be now asking yourself: what next? 1. Odds format: in the US, the default is American Odds. But if you want to use Fractional or Decimal, those options are available also. Get more details about Odds Formats here. 2. “Segment” tabs: what is displayed here depends on the sport in consideration. For instance, football has Games, First-Halves, Half-Times (Second-Halves) and Quarters. The default is Games. 3. The lines page will by default only show “Open Events”, or those that are currently available for wagering. Click on the “All Events” button (found above the lines) if you want to view all events. Depending on bet volumes, lines will be changing continually. It is therefore advisable that you keep refreshing the page now and then to get the most up-to-date info. To refresh the lines only, use the Refresh button located at the top right corner of the page. 5. It is possible to sort the list of lines by either event time (which is the default) or rotation number. You do that by clicking on their corresponding headings. 6. A competitor’s details, including their Name, Rotation Number, Point Spread, Money line (if available) as well as the combined total, are found left to right on a line. The host team is always at the bottom, and if any TV information to be shown, it is displayed at the bottom left just below the game. 7. If the game allows for Live Betting, the “Bet Live” button appears immediately to the left side of the rotation numbers. All sports and events have their lines organized either by league, props and/or futures. This is the organization of sporting events. For instance, US “Football” games are divided between the college football league and the two pro football leagues, NFL and CFL. 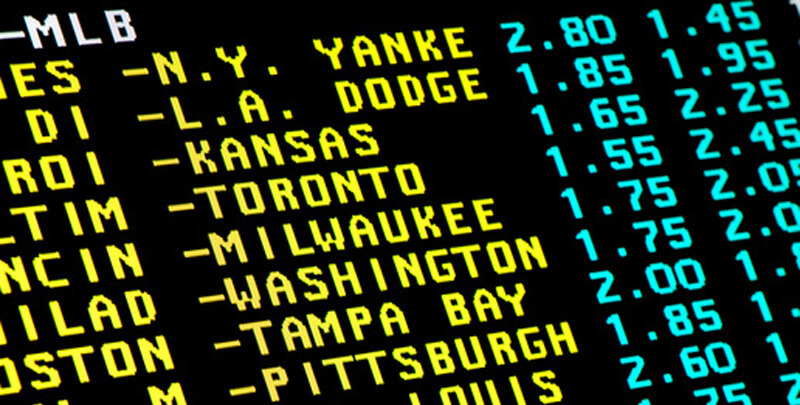 Each game can have a variety of lines offered for gambling purposes, including money lines, point spreads and/or totals. Proposition bets are single bets that are placed on those outcomes not directly related to an event’s final score. Props are placed on sporting events, politics and so many other kinds of topics. For each possible outcome, odds will be posted in either money line or fractional format. Field entries are common in props; a catch-all category that is used for any of the competitors who has not been specifically listed in the prop but is participating in an event. For instance, a prop bet on a PGA event may have odds listed for the best 30 players only, e.g. Tiger Woods 1/1; Phil Mickelson 5/1; etc. But since PGA events do often have 75 or more competitors, players who lack their own individual odds posted are usually listed indirectly as part of the field. In this case, for the purposes of betting, if such an unlisted player wins, the field is declared the winner. A future is a single bet that is placed on the outcome of a future event, for instance picking the winner of the Super Bowl, the Stanley Cup or the World Series. Future odds are normally offered in fractional format, e.g. 4/1. Regardless of any relocation or name changes, all future bets have action. Sometimes you might come across one or more coloured boxes around a line or lines. These mean that the line has a specific “quality” that might affect its limits and restrict the line from being used in parlays or teasers. i) Red (Circled) — the line is “circled” and its limits are reduced. Parlays and teasers cannot use it. 2. Orange (Restricted) — though it has reduced limits, this line is applicable in parlays and teasers. 3. Green — this is typically used for national games. A green box denotes increased limits and therefore no restrictions on being used in parlays or teasers. 4. Blue – a blue box denotes “correlation”. But even if correlated lines do have regular limits, you cannot parlay the point spread and total that are from the same “correlated” event. But different events allow you to do that. NOTE: to fully understand the different betting types read our article that deals with the subject. When can you open your lines? During the time when a sport is in season, wager lines will regularly be posted. Check out the Line Posting Schedule so as to get all the details for a complete list of the times and dates when those lines will be posted.